Of all the reversals, the thundering ironies, the staggering paradoxes of our Lord’s passion, few are as pulverizing as this: Jesus has granted authority to the Roman governor, by whose worldly authority He, though innocent, is sentenced to death. Pilate’s worldly authority was likewise bent through paradox to the saving purposes of the Almighty, when he inscribed “King of the Jews” on the Cross. The cynical ruler who with a sneer questioned truth, made known the truth, though he knew it not. Despite the horror and betrayal, Jesus Christ, the Second Person of the Holy Trinity, in unity with His Father and His Spirit, overruled through all things. His will was accomplished, His purposes achieved, for He was always, and never more than in that hour, Lord of all; and we who acknowledge that Lordship are more than conquerors with Him. It is the Lordship of Christ we celebrate today. 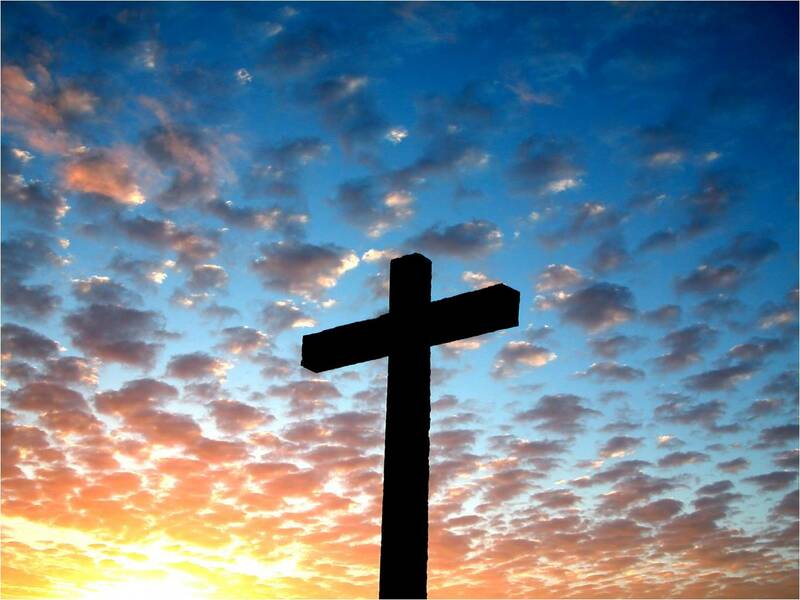 On Easter morning, the final and unanswerable conquest of death and sin is proclaimed through all the world. The scandal of Christ’s church divided recedes from view; in the joy and triumph of Easter we have true unity, under the Lordship of the Risen Christ. We may not even share a calendar, but we share a Lord, Who was crushed for our iniquities, and upon Whom was the chastisement that brought us peace. Thanks for this beautiful meditation, Paul. A glorious Easter to you and all those here at WWWtW. Paul, thank you, nice work. I find two other ironies also worthy of contemplation - well it's really almost the same one, but it occurs twice. The high priest says "It is better that one man die for the many", and before Pilate the crowd shouts out "His blood be upon us and upon our children." Both are completely true, both are exactly what God has in mind for the entire event, that the one God-Man die for the whole people, and that we are washed clean in the blood of this Lamb. He is risen indeed! In the resurrection of Our Lord, God tells us that despite all the very great evil in the world, His kingdom will ultimately come and His will be done, on earth as it is in heaven. Beautiful meditation indeed. Thanks, and Happy Easter to all WWWTWers! Paul, your excellent entry was greatly appreciated in our house last evening. Thank you. The theme of this post was the one real insight I gained this year during my Lenten meditations on the Sorrowful Mysteries of the Rosary. In particular I noticed, for the first time, the important detail of the pillar in Christ's torment by scourging--the Scourging at the Pillar, Catholics name it. The body of Christ was broken on the symbol of that mighty authority which upheld the secular world, Roman law. As a babe, at the Presentation in the Temple, he had become subject to the greatest religious authority, the Rabbinical priesthood and the Law of the Covenant. And by subjecting himself to these earthly authorities, which were the greatest things in the world, Christ turned their hopeless corruption and merely human inadequacy to Lordship and conquest of death.